Vegans and vegetarians almost always get the short end of the stick when it comes to barbecues. 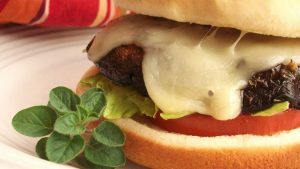 Packaged veggie burgers, maybe some tofu dogs, are often the only things on the menu for them. Not that these are awful food choices. They can taste pretty good actually. But it can be pretty frustrating to be served the same thing at all those cookouts you’re invited to. 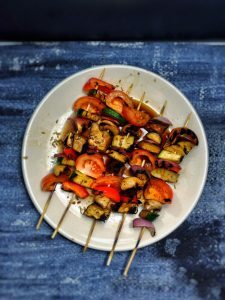 Fortunately, there are a great many alternatives to packaged veggie meats that you can cook on the grill. 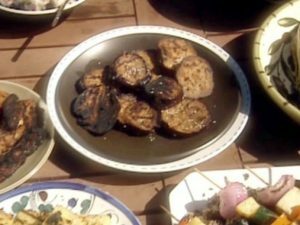 It isn’t even difficult to cook vegetarian or vegan dishes in backyard barbecues. It’s definitely less complicated than meat since you don’t have to worry about internal temperature, flare-ups, and levels of doneness (i.e. medium, medium rare, well done). And the best thing? Veggies taste just as good (maybe even better) after grilling. 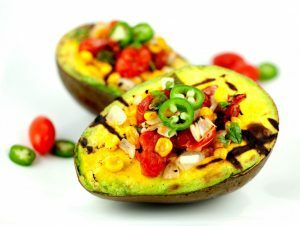 Below are 5 easy-to-do recipes that will make any carnivore at your next cookout crave for some of your non-meat meal. 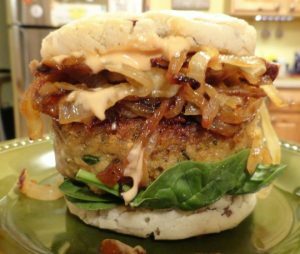 Now, we did say we’re a bit tired of packaged veggie burgers. But barbecues aren’t complete without burgers. So we’re giving you a better type of burger – portobello mushrooms. It’s safe to say that this burger isn’t going to taste like the ones most people enjoy on their grill; it won’t taste anything like beef. But the flavor and texture just might make a vegetarian out of anyone. This barbecue dish is so easy to make that even an inexperienced outdoor chef won’t have to worry about messing it up. It’s deliciously sweet, completely filling, and loaded with plant-based nutrition. Just a few things to take note of: you’ll need at least 3 hours of marinating your veggies and your tempeh. You’ll also need to cook the quinoa beforehand on a stove. This is a great way to use up leftover veggies in the fridge. Or, you can experiment and use your favorite veggies instead. Even meat lovers won’t say no to a slice of this. 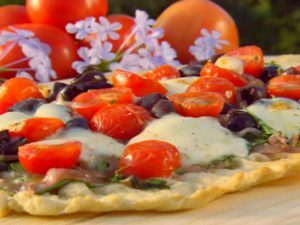 Preparing your homemade pizza is really easy. It cooks pretty fast and you get a crust that’s both chewy and crunchy. What’s not to love about this dish? After tasting this grilled pizza, you won’t even consider ordering takeout ever again. If you haven’t tasted polenta, then this is the perfect way to do it. It’s similar to grits since it’s made from cornmeal as well, only polenta is considered comfort food in Italy, not in the Southern states of the US. 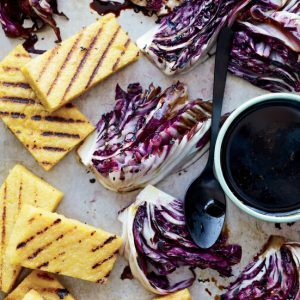 The bitter and spicy taste of the radicchio mellows a bit after grilling and pairs greatly with the rich flavor of the balsamic reduction. With just a few ingredients, you’ll be able to deliver a dish that’s full of flavor and substance that will wow your vegan guests. When you have an overflow of veggies in your garden or in your fridge, one of the best ways to enjoy them is to make ratatouille. It’s the perfect dish to warm you up in the cold months. 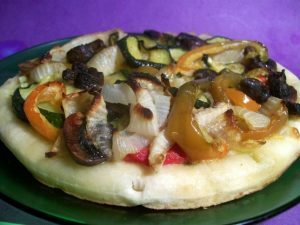 Though that doesn’t mean you can’t enjoy a bit of ratatouille in the heat of summer! 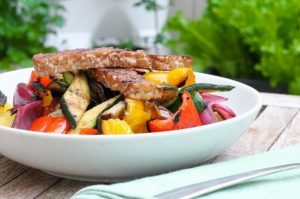 This version of ratatouille on a grill will give you a new way to enjoy the summer veggies at your next summer cookout. Yes, it’s true. You can cook an avocado and it definitely tastes great. But grilled? It will blow your mind. The texture is amazing – crispy on the outside, melted on the inside. The flavor is mouthwateringly delicious. Vegans will love it. Even carnivores will drool over it. We’ve already tackled portabello mushroom burgers. But the beauty of going vegan is having loads of options. Burgers can be made from a lot of different veggies. So here we are making them with eggplants. And not only that, you’ll be making some incredibly tasty toppings and sauce to create decadence on a bun. Just try it and you’ll see. You’ll never look at eggplants the same way ever again. As you’ve noticed, we love eggplants on the grill. Here’s another recipe that you should try the next time you’re having a backyard barbecue. The eggplant soaks up the flavor of the teriyaki nicely and the added veggies are a nice touch. You’re definitely going to be pleasantly surprising your guests with this new addition to the menu. Who doesn’t love pizza? More importantly, who doesn’t love grilled pizza? The smokey flavor from the grill just makes an already delicious dish even better. With this recipe, you can enjoy a meal with heart-healthy fats and good-for-you veggies without sacrificing a thing about taste. Even your carnivorous kids will love this bbq meal. Why go for regular french fries when you can have this delicious side dish instead? 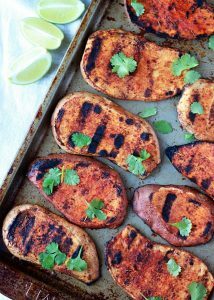 And if you’ve baked your sweet potatoes before, you’ll be happy to know that grilling them is a whole lot easier. In this recipe, you get the flavor of the grill partnered with the intense flavors of the spice rub and the natural flavors of the sweet potato. So many flavors all mixing together to bring you one of the best things you’ll ever eat during the summer.